The Saudis have kept their production levels high since last year in order to drive other players (especially U.S. shale drillers) out of business. Equally clear is the fact that this strategy of maintaining the glut and driving out rivals hasn't worked so far. In short, Saudi Arabia's policy of keeping production levels abnormally high and driving out U.S. shale producers simply hasn't worked. Even as U.S. shale hedges are about to expire, some of the imminent bankruptcies would not result in wells getting abandoned, it would only result in cheaper acquisitions of bankrupt companies by their much bigger competitors. Once oil prices again rise to $60 per barrel levels, the bigger oil companies would naturally ramp up their production levels which would in turn increase U.S. crude oil production. Thanks to its generous public spending and a costly war against Yemen, one of the major worries for Saudi Arabia is that it is burning through its foreign reserves at an alarming pace. According to the IMF, Saudi Arabia's fiscal deficit could rise to around $140 billion by this year end. 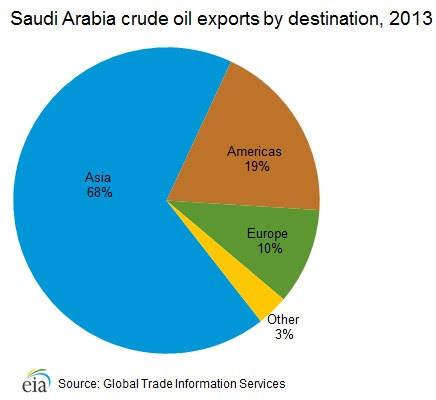 From all this, it seems that the Saudis are now getting beaten in their own game and have been trapped in the oil price war that they themselves created.